The Mazda MX-5 Miata has seen a number of updates over its years of production and the newest model year is no exception. The newly revealed 2018 Mazda MX-5 Miata has stunning design features and forward-thinking technologies. Built to be light, quick, and fun to drive, the MAzda MX-5 Miata is the quintessential sports coupe. The new model year adds additional standard and optional features. For 2018, drivers will have the choice between a new Dark Cherry or Black soft top as well as access to a plethora of new features in every model grade. This new model year has also updated its driving dynamics, making the Mazda MX-5 Miata more agile and responsive. Leasing is a smart pick for those who want to get into a new car, but don’t want to make the commitment of purchasing a brand-new vehicle. Leasing can bring you many benefits and can be a smart option for many people. For starters, the lease allows you to get into a new vehicle without having to commit to purchasing. You get to have the option of having a new vehicle and generally, you pay less per month than you would if you bought. Plus, you won’t have the commitment of having to keep the vehicle for that long. Plus, you won’t have to worry about trade-in value and negotiating what price you’ll pay for a newer model, you can keep up with the automotive market and have less hassle.  Interested in a New Mazda MX-5 Miata Lease? 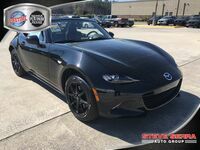 The 2018 Mazda MX-5 Miata is offered in three trim levels - the Sport, the Club, and the Grand Touring. In the 2018 Mazda MX-5 Miata, you’ll find a SKYACTIV®-G 2.0L DOHC 16-valve 4-cylinder with VVT. The 2018 Mazda MX-5 Miata offers the availability of i-ACTIVSENSE® safety technologies such as High Beam Control with Adaptive Front-lighting System, Lane Departure Warning. 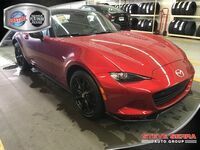 The 2018 Mazda MX-5 Miata offers new design features like a Dark Cherry soft top and Auburn Nappa leather interior options. 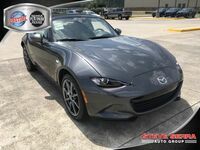 In addition to the new design features, the 2018 Mazda MX-5 Miata gives drivers access to a newly available paint colors Eternal Blue Mica, Snowflake White Pearl Mica and Soul Red Crystal. 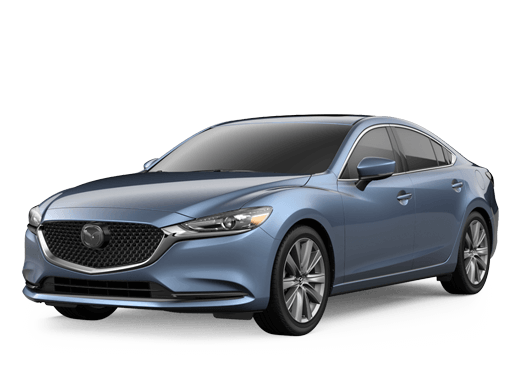 Standard features on this model include Mazda advanced keyless entry system, Bluetooth® hands-free phone and audio streaming, and more!